City of Huron website for more information. We look forward to seeing you there! Logo Items, Performance Fund items and RV Reservations ordering now CLOSED! You may still make a donation to the Performance Fund however, after April 17th it will not be listed in the catalog. You can still order Catalog Ads, Tickets, and make Trophy Donations. Thank you! Many exhibitors retain their National Specialty Show Catalogs for years to come as keepsakes! Don’t miss your chance to be a part of their memories! 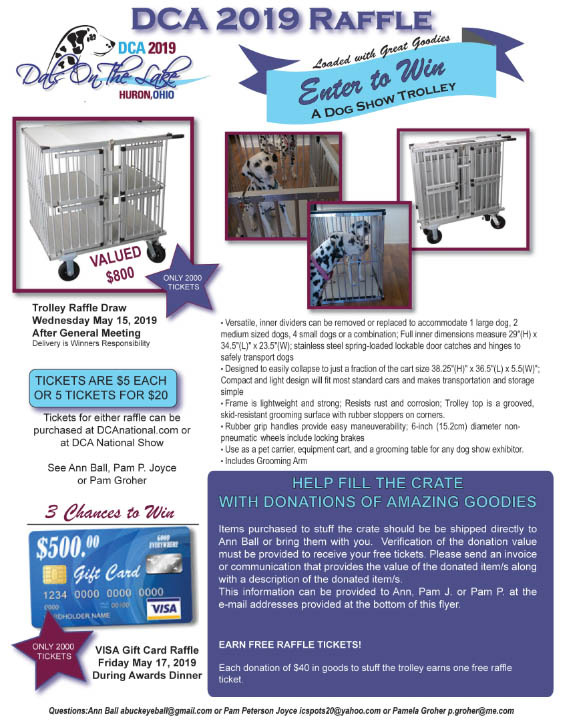 Place a beautiful and aﬀordably priced full color ad for your puppies, dogs,kennel or just to wish fellow exhibitors well! Black and White Rates – Facing Pages ‐ $100; Full Page ‐ $60; ½ Page ‐ $30. 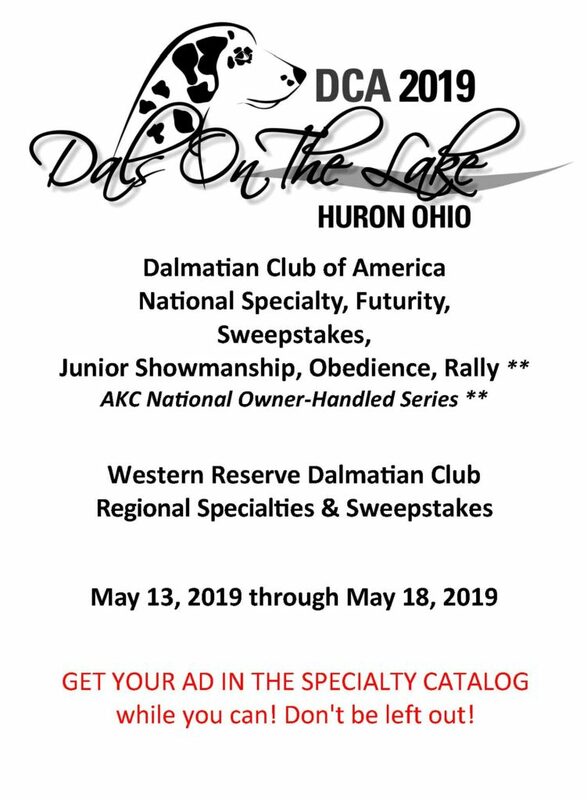 Advertising Deadline is APRIL 17, 2019. NO EXCEPTIONS! You can print out & mail in the Order Form PDF's above or go to the STORE for online convenience.